They are spawned of That Which Is Not, and they hunger for That Which Is. There are a thousand-thousand blasphemies reflected into the gaze of the Abyss, and a thousand-thousand more beyond sight. One by one, slithering in secret, they crawl into the world. The day will come when the Awakened look up from their tomes and ruins and petty factionalism, and wonder where all the light in the world has gone. But it will be too late, then. * More than 20 strange Abyssal entities and phenomena, including rules on how they enter the Fallen World, their goals and how to send them back into the void. * Ample story seeds and advice for using the creatures presented herein. * Speculation on the nature of the Abyss, including its effects on the physical world, Twilight, Shadow and the Astral planes. 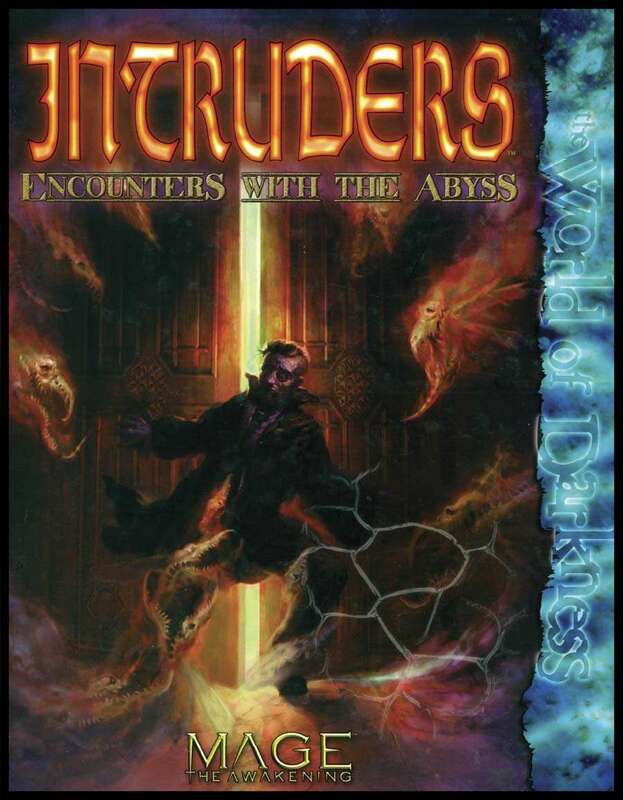 Intruders: Encounters With the Abyss is a supplement for Mage: The Awakening.